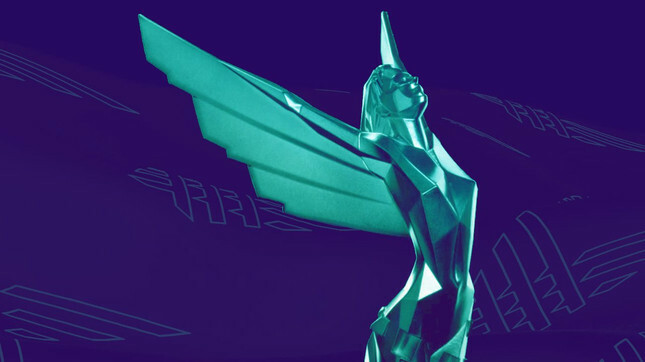 The 2018 Game Awards are just under a couple of hours away and will be streaming live at 2:30 NZST today. Show organiser and host Geoff Keighly has confirmed that we can expect to see more than ten new games revealed during the show, so you'll definitely want to tune in. We already know what a couple of these announcements will be with Alien: Blackout and a new Far Cry set to make an appearance during the show. Tune in here for The Game Awards livestream and live updates as they happen. What announcements are you hoping to see? Confirmed freebies for Steam users and special offers for others watching the show. Best Action Game - Dead Cells. Well deserved. Best RPG - Monster Hunter: World. The devs are teasing some big news in a few days! Best Esports Game - Overwatch. no surprises there. These Esports awards seem a bit silly. World Premiere - The Stanley Parable: Ultra Deluxe coming to consoles with new content. World Premiere - Among Trees. Looks to be another beautiful walking simulator perhaps. Best Narrative - Red Dead Redemption 2. World Premiere - Marvel Ultimate Alliance 3 just got announced as an exclusive for the Nintendo Switch. HYPE. 2018 Industry Icon - Greg Thomas from Visual Concepts. New Rocket League DLC is coming. Adding the Mclaren. Available tonight. Far Cry: New Dawn was just confirmed by Ubisoft. I guess Pink is the colour of 2019. This looks like the prettiest post-apocalypse yet. Looks a lot like Rage 2 though. Releasing February 2019. World Premiere - Supergiant Games announced HADES. Early access available tonight. Ancestors: A Humankind Odyssey gameplay footage looks interesting. Sounds crazy ambitious. New Forza Horizon 4 DLC 'Fortune Island' coming December 14. World Premiere - Scavengers. Will be a Co-op survival shooter. Best Score/Music - Red Dead Redmption 2. Best Audio Design - Red Dead Redmption 2. They're trying to tell me to stop vaping for some reason. Not going to happen sorry. World Premiere - BioWare is showing off more Anthem footage and is finally opening up about the story. World Premiere - Crash Team Racing Nitro Fueled is officially coming. Content Creator of the Year - Ninja. Dauntless is coming to PlayStation 4 and Xbox One. World Premiere - The Last Campfire looks wonderful. Best Esports Player - Sonicfox. Winter has arrived in PUBG. A new snow map available on test servers tonight. The Devil May Cry 5 'Devil Trigger' song is being played live and I am no longer having a good time. The devs behind Ark just unveiled footage of their next game, Atlas]. They've swapped out dinosaurs for pirates. Releasing on Xbox next year. World Premiere - BioWare just announced a game that is probably the next Dragon Age. Best Independent Game - Celeste. World Premiere - The creators of ABZU have a new game called The Pathless coming and it looks wonderful. World Premiere - Netflix just announced a Stranger Things 3 The Game on PS4, Xbox One and Nintendo Switch. World Premiere - Mortal Kombat 11 just got announced with a trailer featuring a terrible 21 Savage 'song'. Launching in April 2019. World Premiere - Double Fine showed off a new trailer for Psychonauts 2 coming in 2019. World Premiere - Fortnite: The Block will show off player created content somehow in the Battle Royale mode. Best Ongoing Game - Fortnite of course. Joker from Persona 5 is coming to Super Smash Bros. Ultimate. Game of the Year - God of War took home the most coveted award of the night. That's a wrap folks. What a fun ride that was, but I'm a bit surprised to see no mention of Alien: Blackout. Stay tuned to Gameplanet for more news and trailers on all the big reveals in the coming weeks.